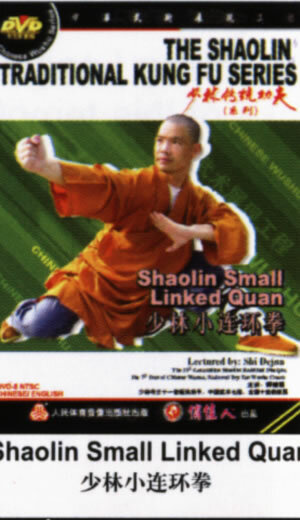 Shaolin Small Linked Quan is one of the primary boxing of Shaolin routines, its movement is simple and its routine is short. Its mission is to let the learners grasp the basic skill such as pushing with palm, separating with palm, pressing with palm, pushing with fist, goring by elbow, Bow Stance, Horse Stance, cross stance, etc. So it's suitable for learners without any base.